Tanya Gill interviews Mumbai artist Manish Nai at Kavi Gupta’s Elizabeth street space as he prepares for his June 6th opening. 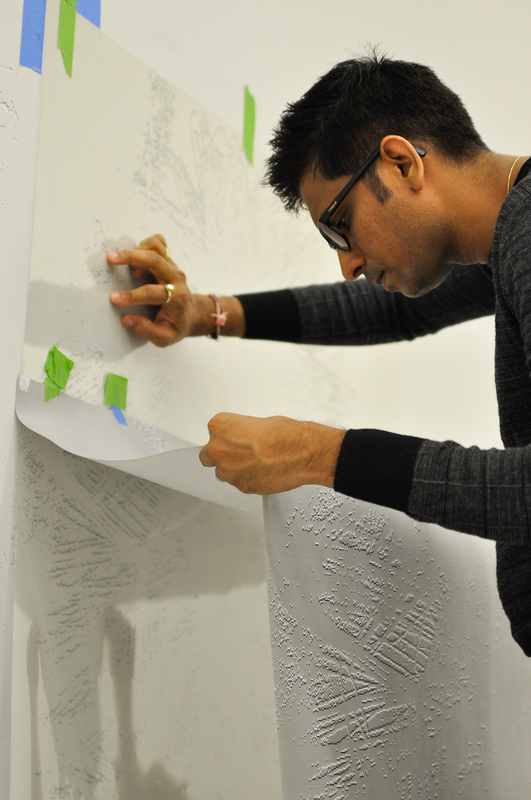 This is Manish Nai’s debut solo exhibition in the United States. He is using this opportunity to create wall murals and a compressed jute sculpture just for the space. The media used in Nai’s work are both humble and quintessentially Indian. He transforms everyday materials, such as newspapers or clothes, through labor-intensive processes. The result is a very personal translation of time. For more information on the exhibit visit www.kavigupta.com.